Plant Profiles – Cal-IPC’s Plant Profiles are the one-stop source for management information on any particular invasive plant listed in our Inventory. Profiles reference information from the sources below, as well as newsletter articles and Symposium proceedings. Pending Assessment List and Invasive Plant Alerts – Early detection is critical to stopping new invasive plants. The Pending Assessment List and Invasive Plant Alerts help land managers spot any new infestations by describing possible new invaders or known invasives that appear to be on the increase. Alerts come from annual reports at the Symposium, as well as special reports on particular weeds. Invasive Plants of California’s Wildlands — This book provides specific information about the biology and control of 78 nonnative plant species that are listed in Cal-IPC’s 1999 Inventory as being of greatest ecological concern in California. The full text of this book is also available online. The Weed Workers’ Handbook — The Weed Workers’ Handbook explains how to remove 35 of the San Francisco Bay Area’s most invasive plants. The full text of this book is also available online. Use of Fire for Controlling Invasive Plants — The goal of this report is to capture the current state of knowledge on the use of fire as a tool to manage invasive plants in wildlands. WHIPPET— helps land managers prioritize invasive plant populations: ranks based on impacts, invasiveness, and feasibility of control; integrates species data with spatial analysis; allows users to select species and area to analyze; uses data from the Cal-IPC Inventory, Calflora, and other sources. Yellow Starthistle Management Guide — This guide begins with a description of the biology and ecology of yellow starthistle and provides a comprehensive overview of treatment methods for yellow starthistle. Early detection and rapid response (EDRR) is a management approach that capitalizes on our ability to most effectively eradicate invasive plant populations when they are small. By detecting a new invasive plant before it has a chance to spread or build a large seed bank, managers can respond early enough in the invasion process to fully eradicate the species from a given area. To support field identification of early detection species, Cal-IPC has designed a set of Species ID Cards for EDRR that can be downloaded, printed double-sided, and trimmed to size. (Lamination increases their longevity.) The first two cards listed are a glossary of terms and contacts for reporting finds; these cards are designed to go with any set of weed ID cards to form an EDRR guide. 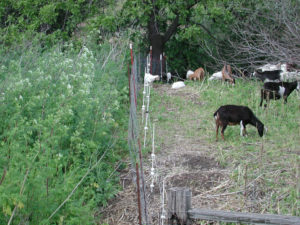 Invasipedia – Invasipedia houses information on invasive plants, animals, and pathogens, and how to manage them. Managed by the Center for Invasive Species and Ecosystem Health at the University of Georgia. Encycloweedia – Notes on identification, biology, and management of plants defined as noxious weeds by California law. Practical Guidebook to the Control of Invasive Aquatic and Wetland Plants of the San Francisco Bay Region – by the San Francisco Estuary Insititute. Center for Invasive Plant Management – At Montana State University. 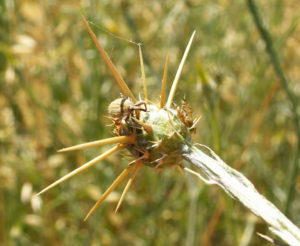 Weed Research and Information Center -The University of California’s Weed RIC provides control notes and photos for invasive plants as well as agricultural weeds.